A receipt for a customer's payment can be printed or emailed from the Family record > Transactions tab. Select the Pencil icon next to the payment you want to generate a receipt for. 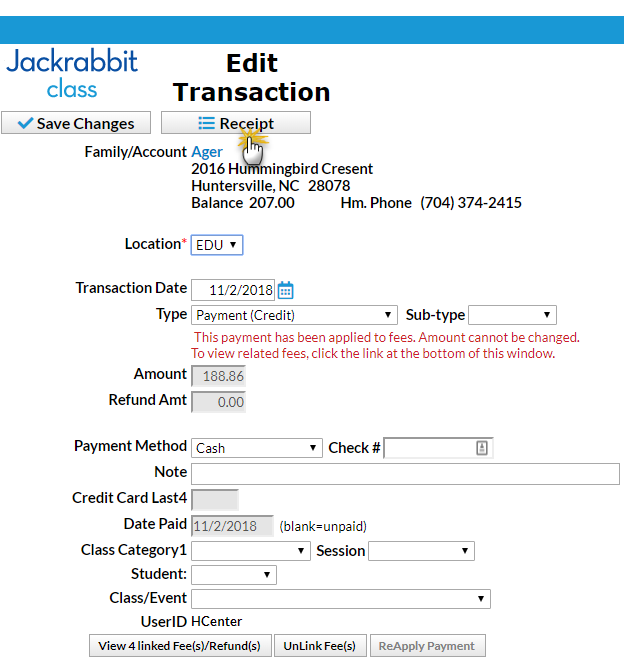 Click the Receipt button in the Edit Transaction window. 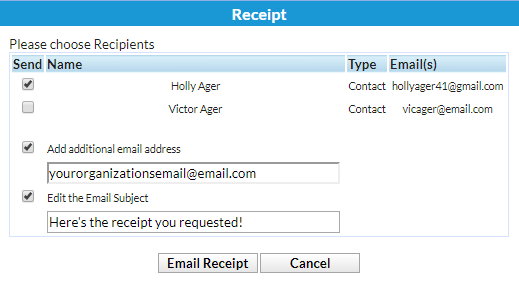 In the Receipt window, select either the Print or the Email button to generate the receipt. When emailing, you will be given the option to select which contact in the Family record will receive the email. As well, you'll be able to add an additional email recipient and edit the email subject if desired (the default email subject is "Receipt").